This is a continuation of a piece of work that was begun in a previous session. It shows the impact of the therapist’s precision in holding the model as a framework. A number of times the therapist asks a question that brings to consciousness what is there. The client is dealing with a memory of a normally loving mother who was suddenly harsh because of offensive words the child said without knowing their meaning. The child dissociated from the terror of the encounter and developed an Accommodator protector that tries to make sure she does everything right. 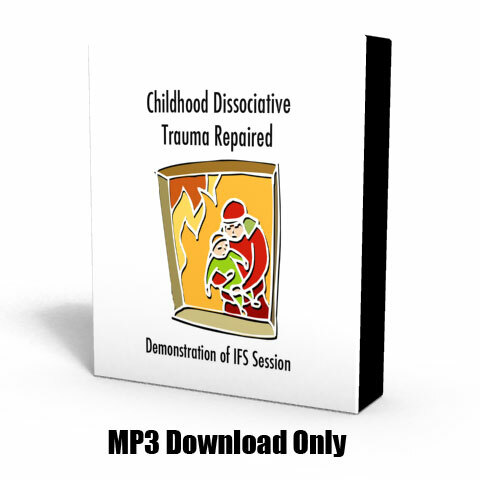 This session involves witnessing and healing the terrified exile and then dealing with a dissociating protector.